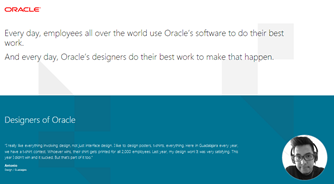 NEW WEBSITE: As Oracle prepares to make a large investment in user experience design, we’ve launched a new microsite (design.oracle.com) aimed at recruiting designers. EMERGING TECH NEWS: In a new post, leader of The AppsLab Jake Kuramoto looks at emerging tech research projects his team has been working on and how they might affect the way we do our jobs. ORACLE HCM CLOUD: Hear Chris Leone, senior vice president of Applications Development, talk about the latest release of Oracle HCM Cloud in this webcast on Customer Connect, which requires a Customer Connect account. He highlights the next generation of user experience (UX) design, how Oracle HCM Cloud is keeping things fresh, and focuses on Oracle’s investments in UX. You’ll see examples of the newsfeed layout and mobile-responsive tasks. 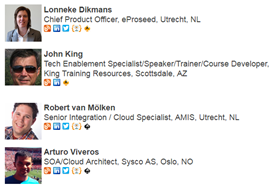 OUR RESEARCH CONTINUES: Do you use an HCM application for self-service tasks? Oracle is looking for employees and line managers of various business units to provide feedback on new Oracle HCM Cloud designs. Sign up for a remote session today. ORACLE ERP CLOUD: We love this piece by Steve Cox, group vice president, Cloud Business Group, who writes about Oracle ERP Cloud and how it stacks up to Workday in this post on The Oracle Blog. He shares our vision of how emerging technology could influence the way we go through our day, balancing personal and work lives. Read his post to see the “Going Through Your Day” video. According to a recent Gartner study, at least 42% of companies are engaged in C-Level transformation efforts – and the percentage is growing fast! 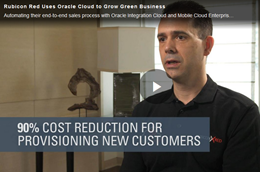 Get the latest customer and partner testimonial videos your customers are looking for to help them take their best next step in their transformation journey with Oracle. 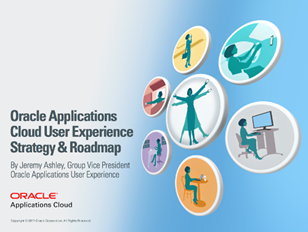 NEW STRATEGY EBOOK: The Oracle Applications User Experience (OAUX) team has published an updated cloud UX strategy ebook. In this ebook, you’ll find information about what guides the design of Oracle’s cloud UX as we continue to evolve. We write about the things we are focused on, all based on our research with Oracle’s applications users, and offer you a glimpse at the roadmap and where we’re planning to invest time and resources. You can download a copy at http://www.tinyurl.com/UXstrategy. TAILORING YOUR USER EXPERIENCE: Perhaps you’ve already seen our recent post on Oracle platinum partner Boxfusion Consulting, which worked with members of the OAUX team to build a custom solution – based on Oracle user experience design patterns – for a customer. Boxfusion has written more about the project and offers screenshots of what they built. FOR PARTNERS: Two new webcasts on Release 13’s visual evolution tools are now available. Customer Connect (you must be a member) has published “Oracle Applications Cloud Release 13’s Visual Evolution Tools Deliver Modern User Experience,” which highlights the expanded branding and theming controls and framework improvements that provide increased flexibility to define a customer’s own branding on the screen and reflect corporate culture and organizational needs. HCM Talk Radio has also released an audio webcast, “Release 13 User Experience and what new visual functionality may be coming in the future.” Both webcasts are presented by OAUX team member Katy Massucco. TIMELINE FOR VIRTUAL REALITY: Are you wondering how virtual reality (VR) might be integrated into your company’s software? Tawny Le, a member of the OAUX Emerging Technologies team, or The AppsLab, writes about her research into VR and where it will fit in enterprise systems. Her answer may surprise you. In this video we create an application for managing parking spot requests. 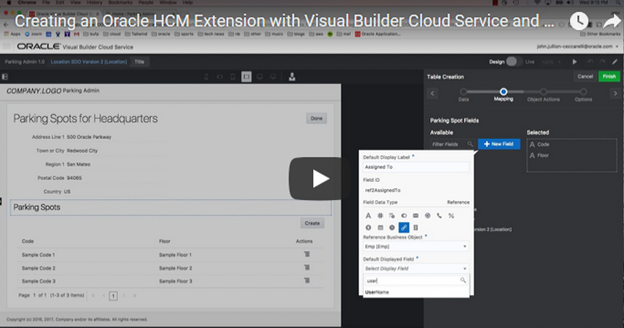 The application pulls in information about employees and locations from the Oracle HCM Cloud REST API, then expands it with custom VBCS objects for parking spots and parking spot requests. A PCS process manages the approval process for the application. Read the complete article here. 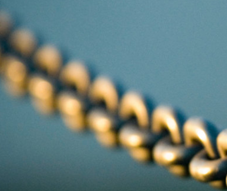 There’s been a lot of talk recently about blockchains beyond its original use for supporting Bitcoin. Earlier this year, we covered a session in London where the takeaway from the panel was there are too many problems to be solved. But that was in February, and a lot has changed since then. Judging from some of the blockchain sessions at the recent Oracle OpenWorld conference, the emerging potential uses for blockchain are kind of staggering. Blockchain uses a technology also described as a “distributed ledger.” That’s an obvious fit for finance, which is all about ledgers, but it turns out the distributed ledger concept can be applied to — well, to almost everything. According to BlackBook Research, 70 percent of health insurance payers are planning to have blockchain integrated into their systems by the beginning of 2019. That’s 15 months from now. Among the payers with over 500,000 members, that number climbs to 98 percent, with 14 percent currently testing blockchain systems. Read the complete article here. At Oracle Open World, Oracle launched the new and exciting enterprise-grade Oracle Blockchain Cloud Service. The launch generated overwhelming interest from press, analysts, and conference attendees as evident by standing-room only attendance in nearly all Blockchain sessions. What was equally noteworthy was the tremendous interest from software developers. The demos and hands-on labs showcased just how easy it is for any developer to work with Oracle Blockchain Cloud Service, unlike anything they have seen in the market so far. 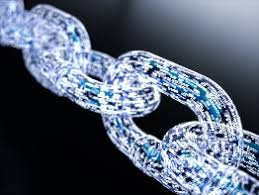 Oracle’s Blockchain Cloud Service enables developers to build smart contracts, integrate with existing business processes, or even create new blockchain applications within minutes, without worrying about running and managing Blockchain environments. 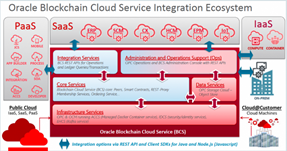 Based on conversations with developers that are breaking new ground in Blockchain, here is a compilation of top seven things every developer should know about Oracle’s Blockchain Cloud Service. Oracle’s blockchain is based on open source Hyperledger Fabric v1.0 code, which supports standard protocols such as REST and gRPC. 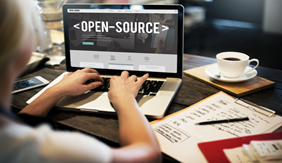 For developers, it means that they have complete visibility into the product roadmap and may directly participate in development through open source community. This also means that developers can easily integrate their existing Hyperledger-based blockchain networks and applications with Oracle Blockchain Cloud Service. Simpler to Develop and Deploy Smart Contracts. Read the complete article here. The document targets beginners to blockchain, specifically organizations considering adopting the technology, and those trying to move beyond the "hype" surrounding blockchain. The authors remind readers that businesses are often tempted by new technology, but that they should be sure that the blockchain is appropriate for their operations before diving in. "A company’s IT managers need to be able to say, we understand this, and then be able to argue whether or not the company needs to use it based on that clear understanding", said Dylan Yaga, computer scientist and one author of the report. Read the complete article here.